Nino Barraco is one of Italy’s greats, a guy who through sheer passion and hard work has transformed the way we think about his region, Marsala. Like many in the region, the Barraco family have for a long time grown grapes, but never bottled their own wine for sale. Nino saw unharnessed potential in the land and took over the family vineyards in 2004. To focus his work, he began with some clear guiding principles. He was to work organically and to make wines from single varieties and single vineyards, in the hope of giving a rarely seen insight into Marsala’s terroir. He produces wines that positively scream of where they are from. They speak of Marsala’s barren, windswept dunes, of the Sicilian sunshine and most importantly, the sea. In this hot, dry landscape the sea is Nino’s saviour, allowing freshness and giving a savoury, saline edge which lends the wines balance and life. His riffs on local grapes Catarratto, Zibibbo and Grillo are quite unlike any other wines we have tried. 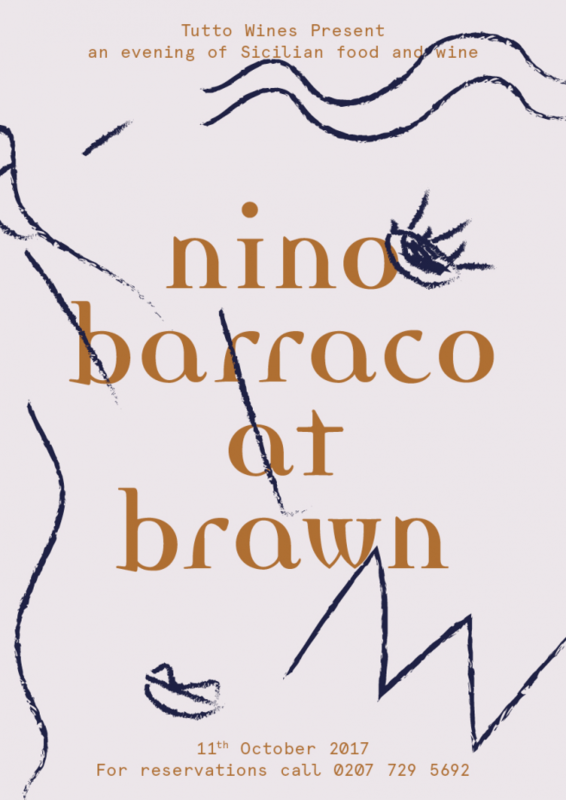 On Wednesday 11th October, Nino will be hosting a special dinner at Brawn celebrating the very best of Sicily. Nino has dug deep into his cellar and we’ll be offering the deepest selection of his wines ever seen, including verticals of his benchmark Catarratto and Grillo, rare bottles, magnums and of course his masterpiece Marsala, ‘Alto Grado’. Brawn’s Chef Ed Wilson has just retuned from a trip to Sicily himself and will be cooking from a one off menu inspired by the island. To join us simply book a table by calling the restaurant on 0207 729 5692. You can pop by for some antipasti and a glass of Rosammare at the bar, or settle in and delve deep into the menu and really explore all Sicily has to offer.